Christmas is celebrated all over the world, but every country and city has its own traditions and customs. 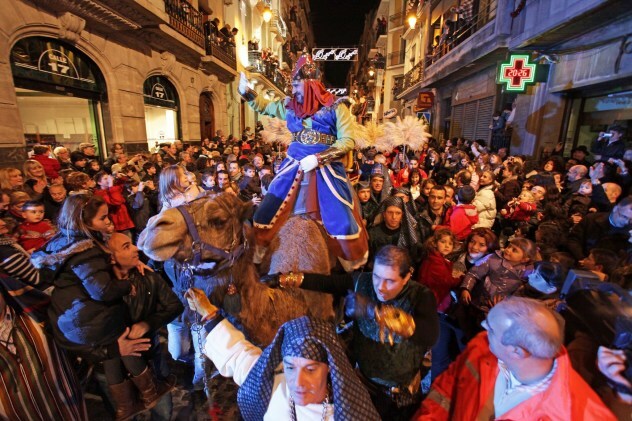 In Spain, in addition to Christmas and New Year’s Eve, the Three Wise Men’s day parade is celebrated on 5th January, which represents the arrival of the Magi and their visit to Jesus Christ. The parade of Alcoy is the oldest in Spain, as it is documented in 1866. 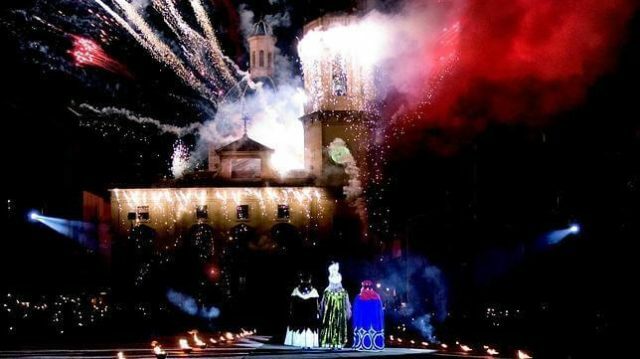 Under the brand name of “Alcoi Ciuat del Nadal”, a Magical Christmas has been created already well-known throughout Spain. 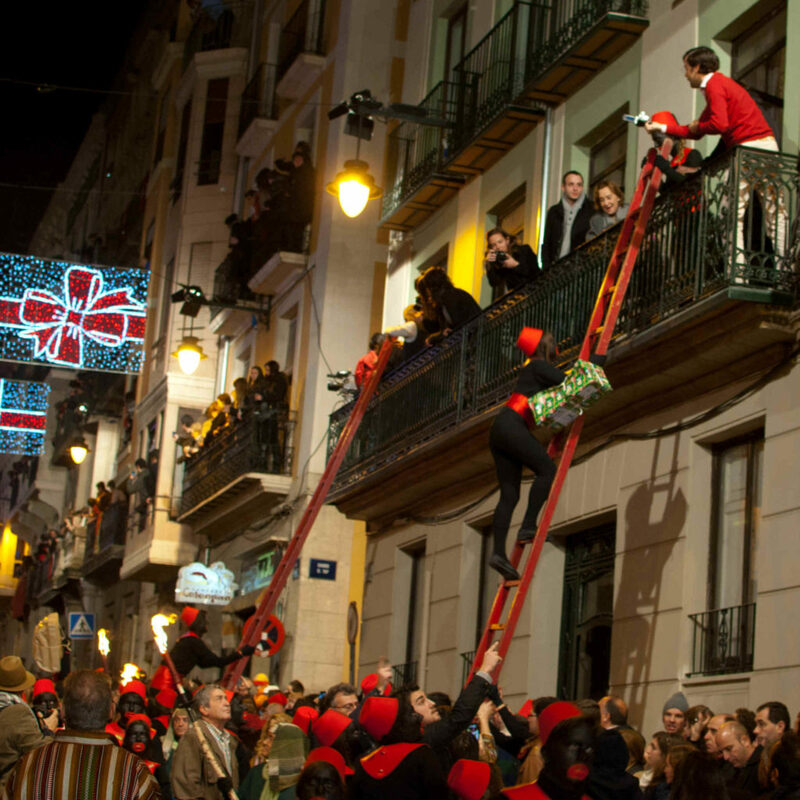 In this Carbonell Real Estate article we give you the reasons to why visit Alcoy at Christmas. On 4th January, on the eve of the arrival of the Three Wise Men, the town of Alcoy prepares itself for the arrival of its ambassador. After the Royal Proclamation, which announces the proximity of their Majesties, children are invited to put their letters to the Kings in their mailboxes carried by traditional donkeys. The delivery of these letters will be decisive so that, the next day, all children receive their gifts. As the night of January 5 falls, the Magi make their entrance into the town, mounted on their camels and with an important procession of pages behind them. The parade is made up of musicians, torchbearer, and shepherds, and of course, pages. The Three Wise Men descend from their camels upon arriving at the “Plaza de España”. The lights go out and a spotlight guides them to the Manger for the Adoration of the Child Jesus. Then, the fireworks appear in the sky and overflow the excitement and magic in every child and adult of Alcoy. 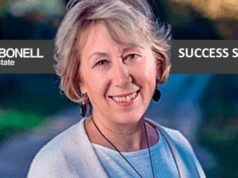 Even so, those who delude and win the hearts of children and adults each year are the pages. The royal entourage that accompanies the Three Kings all the time also has another very special mission. With long red stairs, they go up to the balconies of the first floors to deliver the gifts to the children personally. The excitement of children receiving their gifts from mysterious figures is palpable and there is nothing like enjoying the Parade while you are seeing how the red stairs appear in many buildings of the route. The Royal Camp of the Magi is organised since 2015 on January 5. A tour through the settlement of Their Majesties in the town to read the letters of the children and to prepare all the gifts with the help of their pages. The Royal Camp has become a tourist attraction that every year awakes the spirit and the Christmas illusions of children and adults alike. Such has been the success of the Royal Camp, that this year two locations have been prepared so that more visitors can come to see them. The first location is the “Preventorio” and the second is the “Baradello de Moya”. 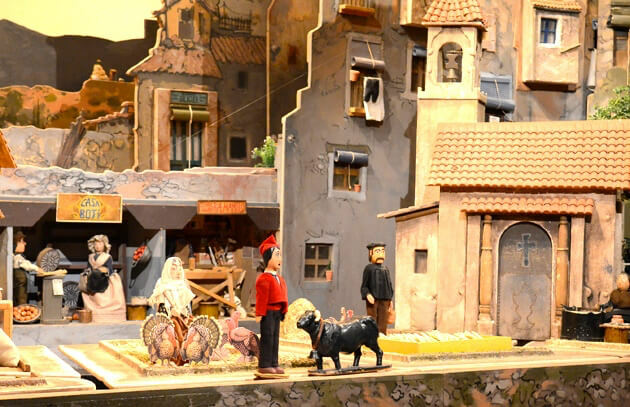 Another of the most popular figures of the Christmas in Alcoy is the “Betlem de Tirisiti”. 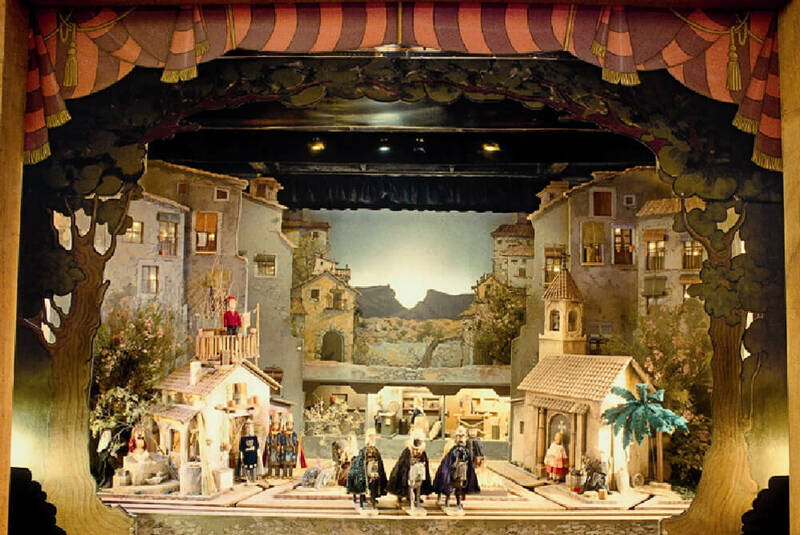 It is a theatre with puppets that is represented made in Alcoy since the 19th century with some surrealist nuances. 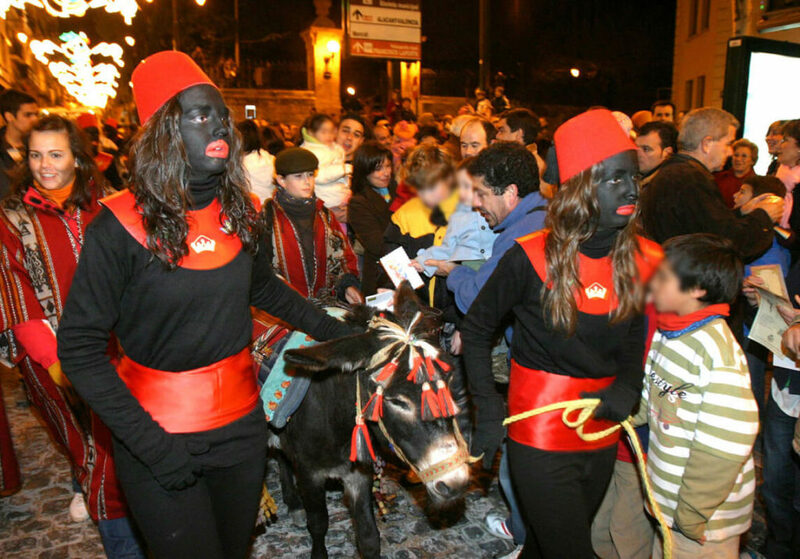 It represents the birth of Jesus and the arrival of the Magi, combining it with the Moors and Christians Festival of Alcoy, with traditional elements of Spain (such as the classic bullfighter) and always introducing some important event of the year in progress. 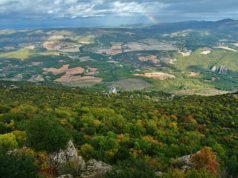 It is spoken both in Valencian and in Spanish and the narrator of “Tirisiti” uses a reed to give it a very characteristic intonation, becoming one of the most iconic voices in the region. In spite of being aimed to children, everyone likes it, because of the combination of tradition and present time that offers and because of its cool and pleasant tone. 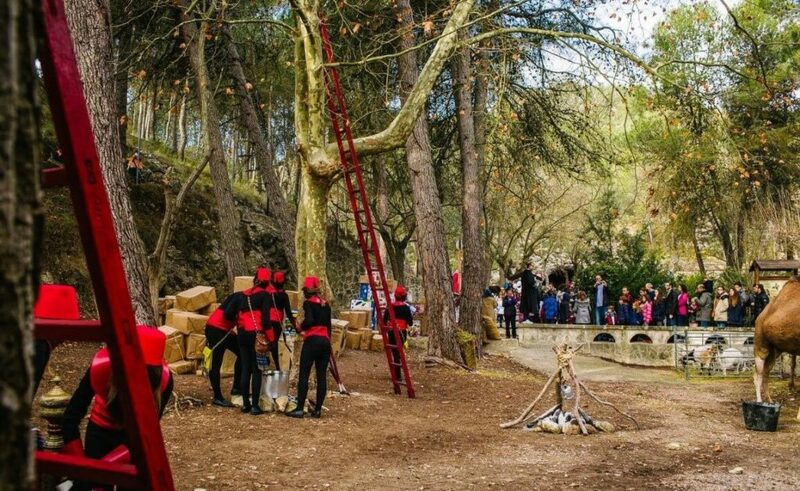 If you want further information about Alcoy Christmas or want to know the traditions of other Costa Blanca Inland locations, do not hesitate to contact Carbonell Real Estate. Live the dream of Christmas with us.